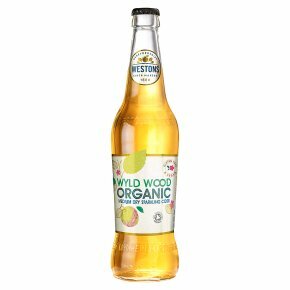 Wyld Wood is made from organically grown cider apples, with Soil Association certification. Deep amber and lightly sparkling, it is dry with firm acidity and ripe apple flavours. Refreshing and with a beautiful balance, it makes a good match for pork with braised red cabbage, or wild mushroom risotto. Organic. Gluten free. Suitable for vegetarians vegans & coeliacs.Made with the very best organic apples grown in Soil Association Certified orchards in Herefordshire, Gloucestershire and Worcestershire. The ageing wood of our organic apple trees is free from pesticides and provides a safe haven to rare and endangered insect species. A full bodied and fruity cider with a rich oak finish.